We've made the #1 mouthguard in the world even better. 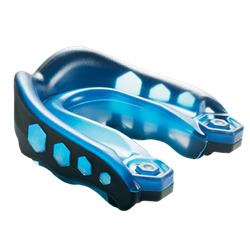 By improving the gel-fit liner where your teeth sit, the Gel Max is now easier to fit correctly. In addition, we've engineered the mouthguard to have a convertible tether so you can wear your Gel Max strapped or strapless. Adult: Age 11 and older.